Specializing in professional body sugaring, specifically Brazilian services, you can be confident you’ve found the premier spot for hair removal in the Big D.
Hello! Welcome to Sweetie’s Sugar Co. Please sit, stay a spell and read through our website. If you have a question that’s not covered under our FAQ, don’t hesitate to ask. 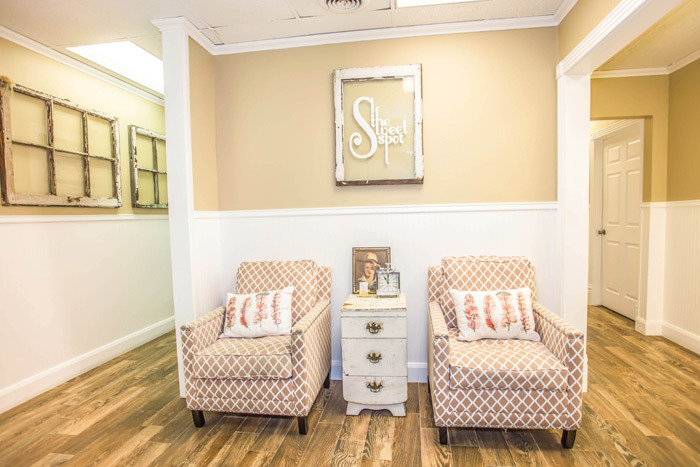 We know you have options when it comes to removing unwanted hair, but if you ask us, sugaring is the only way to go. Sugaring and waxing are commonly mistaken as the same thing, but we’d like to put that rumor to rest, once and for all. For starters, sugar paste is made of 100% natural, food grade ingredients (yes, you can eat it!) with only sugar, water and lemon. Wax is full of resins, chemicals and essential oils, which can cause adverse skin reactions. Although you can be allergic to any given ingredient, it’s more common to be allergic to artificial fragrance, preservatives and other chemicals. Sweet, but not sticky, sugaring paste is water soluble, meaning you can wash it off with plain ole’ water. But it’s a different story with wax, which needs to be taken off with a special wax remover. Sugar can never, ever adhere to live skin cells, which also means no lifting or tearing of the skin. Sugaring only removes those yucky, dead skin cells, leaving your skin soft, smooth and exfoliated (and let’s not forget hair-free!). The resin in wax sticks to EVERYTHING, which greatly increases the possibility of tearing or lifting delicate skin. Sugar at our studio is warmed to room temperature—it’s never hot and will never burn the skin. Wax, on the other hand, is super hot and can burn your sweet skin…ouch! Sugar is hygienic! Bacteria can’t breed or live in high concentrations of sugar. There are no sticks to double-dip—we use a clean, gloved hand to remove the sugar from the sugar pot, that’s it! And yes, you guessed it: wax can be cross-contaminated by double dipping. The traditional sugaring technique (the technique we use), removes the hair in the direction of natural growth, which greatly reduces breakage and ingrown hair. This is also the reason why sugaring is so much more comfortable than waxing! Waxing removes the hair in the opposite direction of hair growth, which puts more stress on the skin. OUCH! Now that you know all about sugaring and Sweetie’s Sugar Co., rest assured that you’ve found the best. We know that this can be an awkward and uncomfortable experience for some, which is why we want you to feel as comfortable as possible. If you’re a nervous Nelly, let us know! Education and communication is key, we will do everything we can to ensure you have the best experience possible. It can’t get much better than that!